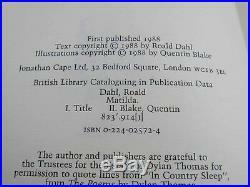 Roald Dahl and Quentin Blake Matilda First UK Edition SIGNED by Quentin Blake Cape. A first edition, first printing published by Cape in 1988. A near fine book without inscriptions. SIGNED by Quentin Blake on a card mounted to the front endpaper. In a near fine unclipped wrapper. 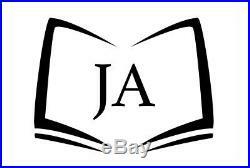 JOHN ATKINSON BOOKS is a full-time professional bookseller in Ripon, North Yorkshire. We are members of the ABA, ILAB and PBFA and adhere to their guidelines. 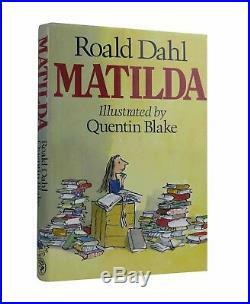 The item "Roald Dahl and Quentin Blake Matilda First UK Edition Signed Book 1st" is in sale since Tuesday, October 9, 2018. This item is in the category "Books, Comics & Magazines\Antiquarian & Collectable". 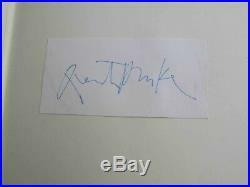 The seller is "jatkinsonbooks" and is located in RIPON. This item can be shipped worldwide.